A TEAM OF experts has disputed the claim made in a new documentary that a fire contributed to the sinking of the Titanic in 1912. The documentary, called Titanic: The New Evidence, was broadcast on the Smithsonian Channel last month and presented by Irish journalist Senan Molony, who has spent more than 30 years researching what happened to the Titanic. The programme argued that long-hidden photographs from the time showed that the Titanic’s hull had supposedly been damaged by a fire before it set off on its only journey, leaving it weak and susceptible when it hit an iceberg in the Atlantic Ocean. In the documentary, Moloney noted that researchers had known about the fire before but had tended to dismiss it as an ‘irrelevancy’, arguing that it should have been taken more seriously as a cause of the sinking. The documentary also claimed there were other issues which contributed to the ship sinking, such as substandard materials and shoddy workmanship, primarily due to cost-cutting. However a team of seven maritime historians has published an article completely refuting the programme’s claim that the coal fire was one of the main reasons why the ship sank. “However intriguing the claims set forth in Titanic: The New Evidence may be, they run counter to a wealth of well-researched facts about the ship and its sinking,” said J Kent Layton, a Titanic historian. In the article, the historians argue that, as Molony noted, the coal fire has been known about since 1912, but say that there is no evidence to suggest that the damage was extensive enough to be related to the sinking of the massive ship. They say that the photographs showing what is supposed to be fire damage are in the wrong location to be related to the coal fire, which was actually more than 50 feet away. They also say that the coal fire was in a bunker directly under the ship’s swimming pool, and none of the passengers who went for a swim reported any issues with or damage. Layton writes in the article that “we owe it to the memory of these people and their families to try to tell their stories with a minimum of distortion”. 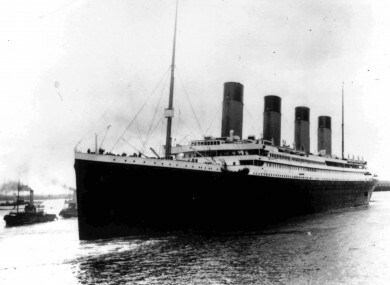 A total of 1,496 people died when the Titanic sank in the Atlantic Ocean on its maiden voyage in April 1912. Read the full article by the historians here. Email “Experts are disputing a documentary which says a fire was partly to blame for the Titanic sinking”. Feedback on “Experts are disputing a documentary which says a fire was partly to blame for the Titanic sinking”.